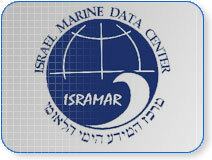 The Israel Marine Data Center (ISRAMAR) was established in 2001 at the National Institute of Oceanography as the national repository for oceanographic data. ISRAMAR acquires, archives and distributes data and information on Israel's marine environment and is a member of the International Oceanographic Data and Information Exchange (IODE) network. ISRAMAR keeps physical, chemical, biological and geological data from the Mediterranean Sea, the Red Sea and the Dead Sea. Data is obtained mainly from research cruises and from remote data stations. Meta-data recorded along with the data includes: time and space coordinates for the data collection, methods of sampling and analysis, quality control information and more. Wave forecasts presented on the Internet. Additional data products are produced on request. In addition, interactive data management systems developed by ISRAMR allow the user to generate various data products independently.